This one isn’t for you RGB nihilists out there. No, the Kira Mechanical Keyboard is as showy as they come. 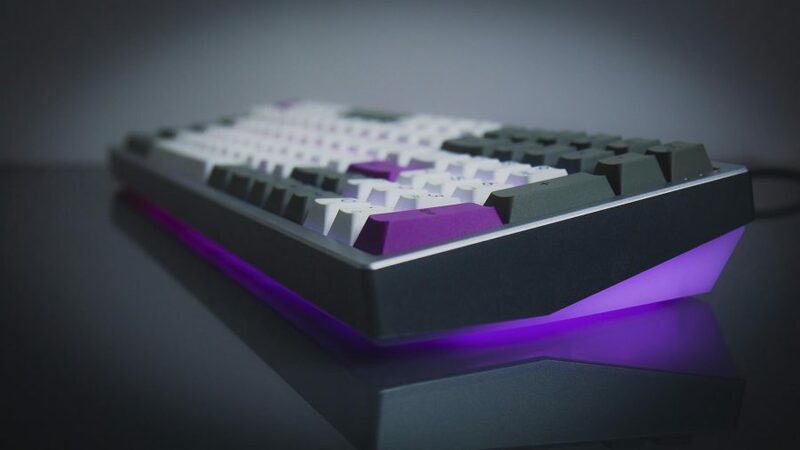 But while its full RGB backlighting, vibrant keycaps, and undercarriage lightshow aren’t for the faint of heart, the enthusiast-grade interchangeable switches and macro-inducing innards should be plenty to keep most gamers satiated. 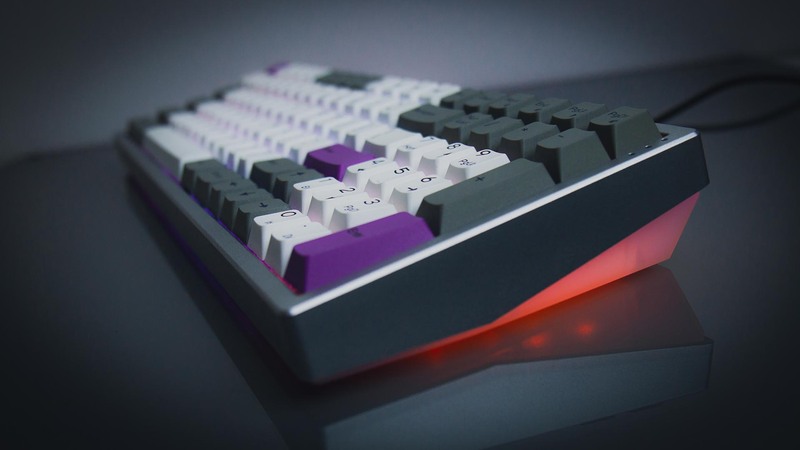 Behind the Kira Mechanical Keyboard is Input Club, a group of enthusiasts that came together and created one of the most well-known brands in the do-it-yourself keyboard market. Following up its success with the Whitefox, a tiny mechanical board loved the world over, the company, in collaboration with Angelo Tobias, have put together something just a little bigger… and a whole lot brighter. At its core the Kira Mechanical Keyboard houses 99 keys in a condensed layout. That means you won’t have to forgo a numpad for its compact footprint. You may miss the customary gap between the arrow keys and the surrounding lot, but it swiftly becomes ingrained in your muscle memory, even becoming one of the better layouts for tight spaces and exuberant gamers. The board supplied to me is finish with plastic and Hako Clear switches, although there are a litany of other options to choose from. 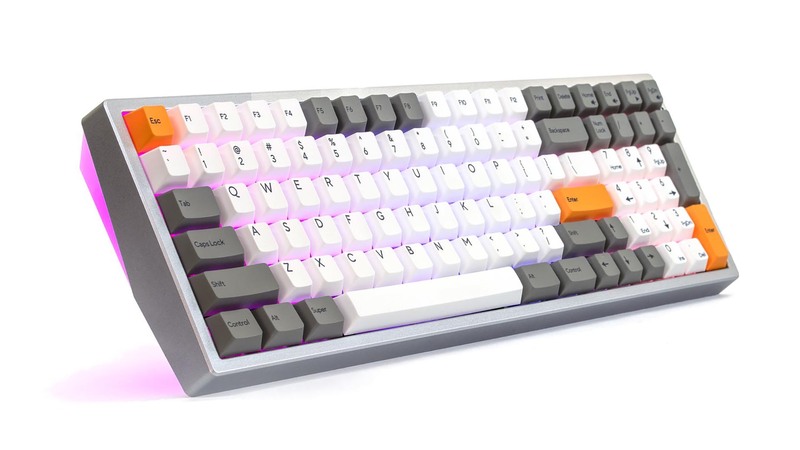 Ranging from $169 without switches to $259 featuring a metal finish and NovelKeys Box switches, the board has plenty of options to satiate most gamers and typists. The particular model supplied to me retails for $179. The Hako Clear switch is a great tactile switch with a smooth action. It’s not my favourite tactile feel, that accolade goes to the Novel Keys Box Novelias – those things are hella weighty (and now gone forever, soz) – but they certainly top Cherry MX Brown switches in my book. But the Kira offers something especially lovely in the mechanical keyboard world: hot swappable switches. While most keyboards solder the switches in place, the Kira utilises extra components on the PCB to maintain a connection with the two pins from the switch without a (semi) permanent solder needing to be applied. The switch simply slots in, clips into the outer plate of the board, and can be removed with the included tool. So you needn’t worry too much about your choice of switch, and you’re free to start collecting switches like pogs. Each of those switches is fitted with a PBT keycap, which should outlast most of us mortals. The font is simple and clear across the white alpha and grey modifier keys, but there’s the option of a little extra added flair as each board also comes with a pack of colourful modifier key replacements: purple, orange, blue, and pink. But the main aesthetic draw is the opulent use of RGB lighting, which totally eclipses the keycap colourway and, granted, won’t be to everyone’s tastes. But if you’ve clicked on this review for “the most RGB keyboard ever”, I can only assume you’re into that sort of thing. I haven’t come up with the headline at this point, but I’m pretty sure it will be something to that effect. So maybe you’re in luck. While each switch is fitted with per-key lighting, the underside of the keyboard is also translucent to show off its own stripes. From its clear belly erupts further rainbow rays straight into your eyeballs, with options to sync up topside or glow independently for a two-tone effect. But I do have a few gripes with the board, most of all with its RGB lighting implementation. While the firmware is worthy of praise for its openness and flexibility, it can be a handful at times. 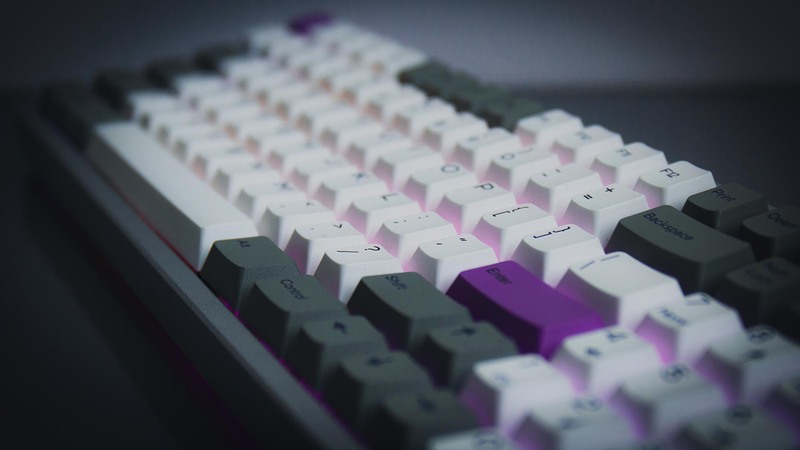 While many keyboard enthusiasts will enjoy the granular backend, it falls short of many implementations on the market in terms of accessibility, even those from relatively small start-ups. The Wootility, for example, is fantastic. And the on-board RGB lighting shortcuts were frustrating to say the least. Often it would totally reset the entire board after confirming settings, and occasionally it would refuse to shift away from the lighting programming layer. Also the G key switch is a little skewed due to the placement of a screw. While it functionally has no impact, it’s a bit of a bugbear, and unexpected on a keyboard of this price. The included carry case, while a bonus, is absolutely massive, too. Easily doubling the size of the board and a rather sizeable unit to move from place to place. Those few gripes aside, you’ll find few flashy keyboards like the Kira so well-equipped. It’s got all the makings of a top enthusiast board blended with a dramatic lighting schema fitting for even the most vivacious rigs. But for the price it could be a little more polished, and there’s still some room for improvement to really make this board stand out beyond its scintillating exterior. A convincing blend of enthusiast-grade components and bedazzling style. But the Kira's lack of polish may leave you wanting for more.